Elizabeth Young is the new owner of Tivoli Florist, but she’s no rookie when it comes to flowers and events. 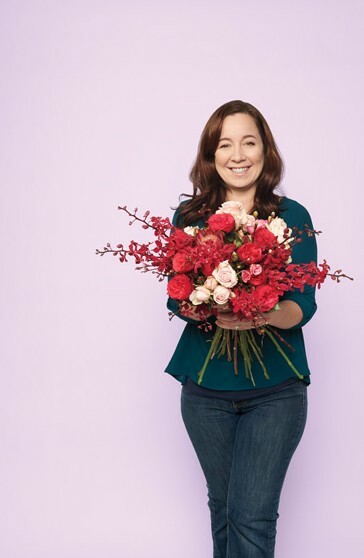 Before taking over the 26-year-old Westboro shop last year, she operated Flowers Talk, completed the horticulture program at the University of Guelph, and ran her own event-planning company out of the Westin Hotel for three years. She specializes in weddings and other events. 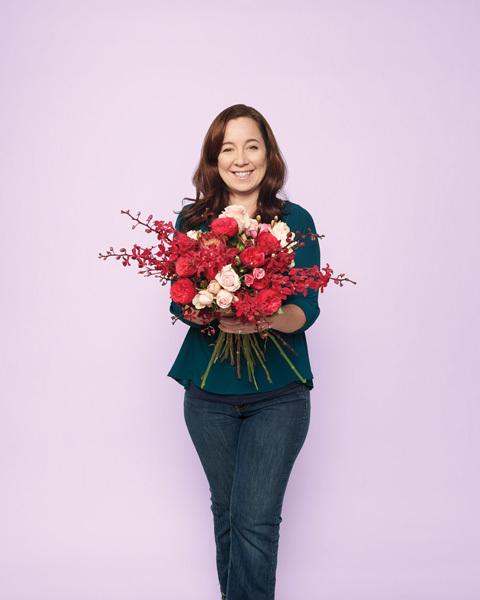 “From the first consult to the delivery, we are very detail-oriented.” In terms of style, Young describes her approach as “modern romantic” — not too fussy, not too much “stuff.” She keeps filler greenery to a minimum and chooses beautiful, high-quality flowers. Her top tip when it comes to funeral arrangements is to approach your florist with personal information about the deceased. What flowers do they love — or hate? She adds, “Sympathy arrangements should be a reflection of the person’s personality.” Plus, memorial events feature lots of flowers, so if you want your contribution to be front and centre, better go big. On the other hand, if it is going to a memorial where an urn will be present, scale back in size. The Entertainment What is a modern funeral without a jazzy slideshow? “People like that perspective on a life lived,” says Mike Wood of Ottawa Special Events, the go-to technicians for Tubman Funeral Home. Their company provides technical help for audiovisual aspects of memorials and rents projectors, speakers, and televisions for all kinds of events. “If they don’t know how [to use equipment], we take the time to walk them through it,” says Wood, who lost his mother four years ago and says that experience made him even more tuned in to supporting people during the funeral process. The Venue Before the last century, families and friends of the deceased carried out funeral rites. And just as home births are changing childbirth, so too are home funerals coming back into vogue. While still a fringe movement, “death midwifery” and “post-death care” offer an intimate experience. For those looking to help loved ones of the deceased (a.k.a. “death journeyers”), the Canadian Integrative Network for Death Education and Alternatives is the place to go for videos, DIY instructions, and testimonials. And this May, the Funeral Information Society of Ottawa is hosting a lecture by Cobourg-based thanadoula (death midwife) Barb Phillips to speak about her services — both practical and spiritual. The Spend In Canada, for years the cost of a traditional funeral has come in at between $8,000 and $10,000. But online competition, the popularity of cremation (because of the dwindling availability and rising cost of grave sites), and a general eschewing of bells-and-whistles ceremonies have encouraged alternative approaches to saying goodbye. In Ottawa, Basic Funerals offers packages starting at $1,500. The Dress Black is a safe option, but if the ceremony is at an unconventional location such as a beach or backyard, think outside the box. More and more often, family and friends are looking to pay homage to departed loved ones in unique ways — and the all-black dress code is being questioned. So if the death notice says “no black,” do your best to abide. Why not honour the deceased by donning their favourite colour or an item of clothing that speaks to one of their passions? At the military funeral of Cpl. Nathan Cirillo last October, some onlookers wore red to salute the young soldier’s sacrifice for his country. The Extras Why accept the standard urn? If it’s going to be the receptacle of treasured remains, make it personal. Better yet, spread those ashes among family members and friends by hiring local artist Janet Jensen to create glass beads that “tastefully and elegantly” suspend cremated ash in a customized, portable tribute to your dear departed. (She also works with Resting Paws Cemetery and Cremation Inc., the city’s first full-service pet funeral home.) Pretty and discreet, the beads warm to the touch and serve as a calming memento. Tea sandwiches. Smoked trout rillette; cucumber and whipped butter; pink beauty radish with brown butter and lemon.